Marlon Hoffstadt starts 2019 with the first anniversary of his Savour The Moment parties and the sixth EP in his Midnight Themes series. Simple Communication sees the Berlin producer provide a deep, dubby and subtly euphoric release, out Friday, February 15th. 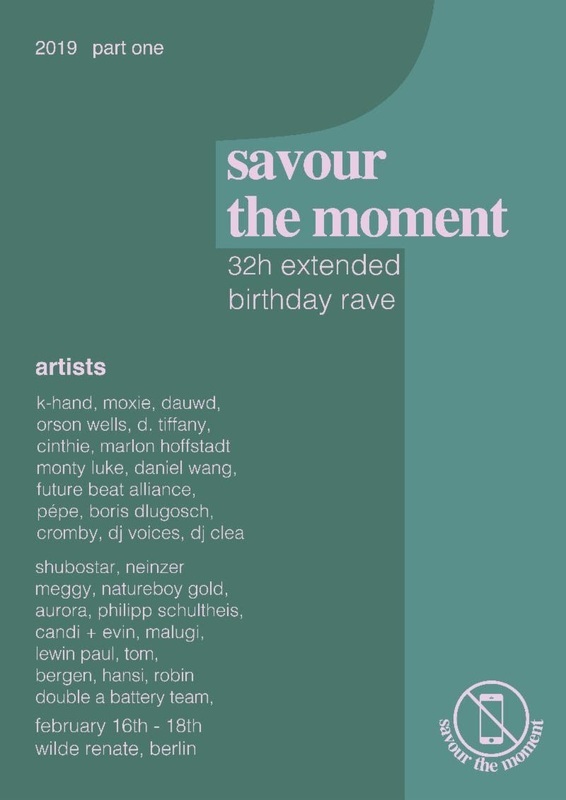 Meanwhile Marlon Hoffstadt’s Savour The Moment will mark its first year on Saturday, February 16th with Cinthie, Moxie, K-Hand, Cromby, D. Tiffany and more playing a 36 hour party. For Savour the Moment tickets and details go here.